Last weekend I was sick and got sucked into watching several reruns of the show Extreme Cheapskates (I included affiliate links in this post for your convenience) because I couldn’t find the TV remote buried somewhere in my blanket nest on the sofa. It confirmed my sneaking suspicion that The Learning Channel turned into The Laugh at Freaks Channel. 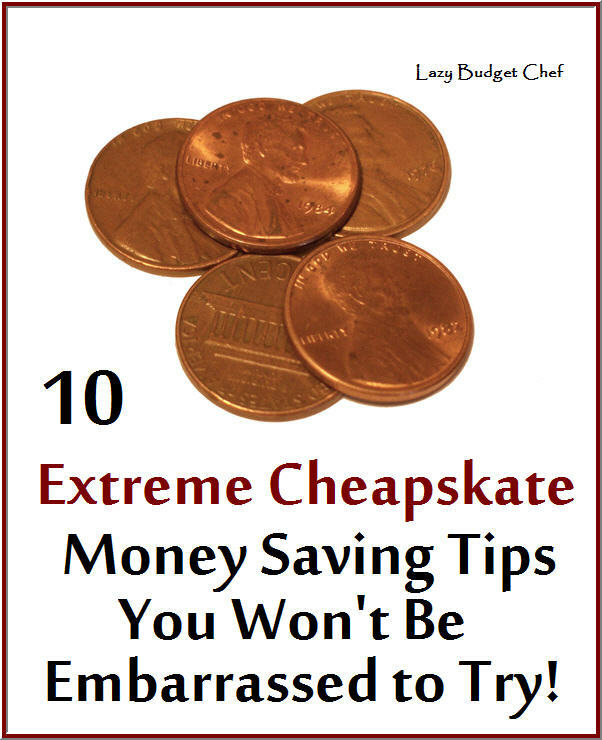 Jordan the bartering guy confirms Extreme Cheapskates set up scenarios to make him look like he won’t pay for anything when he actually does, in his blog post My Media Guy TLC’s Extreme Cheapskates: The True Story. Worse is Broke Rich Girl’s experience that TLC lied to her when she declined to apply to be on the show. Extremem Cheapskates production people said they wanted her to “be the voice of reason” and later on in the process told her they wanted her to sign up for on line dating as a way to get free meals and show it on TV. How sleazy is that?! She declined. You go girl! The thing is, if you strip away the fake jacked up borderline illegal and unethical craziness of reality television there are some general budgeting ideas that will help you save a little money, that don't sound so extreme or crazy, and will keep your ethics intact. Some may not be new to you or things you already do, others may be something that don’t apply or you don’t want to do. That's cool. 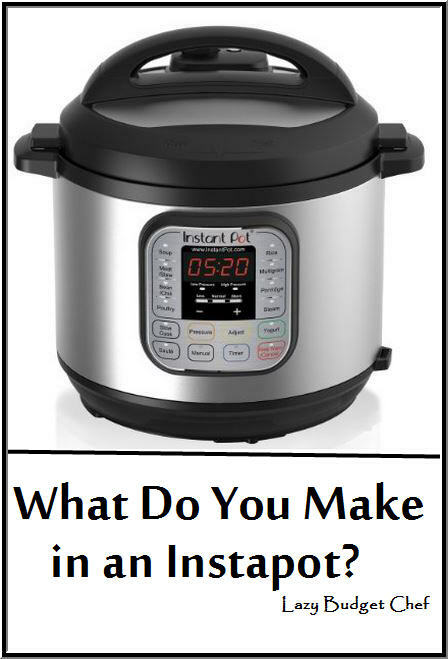 What Do You Make in an Instapot? I added an Instapot to the Lazy Budget Chef Kitchen and Thunderdome this Christmas. Both Husband and I read the instruction manual that, let’s face it, is written for people who already know how to cook in an electric pressure cooker – which isn’t us. So exactly, how do you use an Instapot and what do you cook in it? Hello 2017! It is a brand spanking new year full of brand spanking new possibilities. It is always interesting when I take a look at which Lazy Budget Chef blog posts are the most popular posts of the previous year because I am almost always surprised! In 2016 was the year of budget cleaning, shopping, travel, and food allergy hacks. 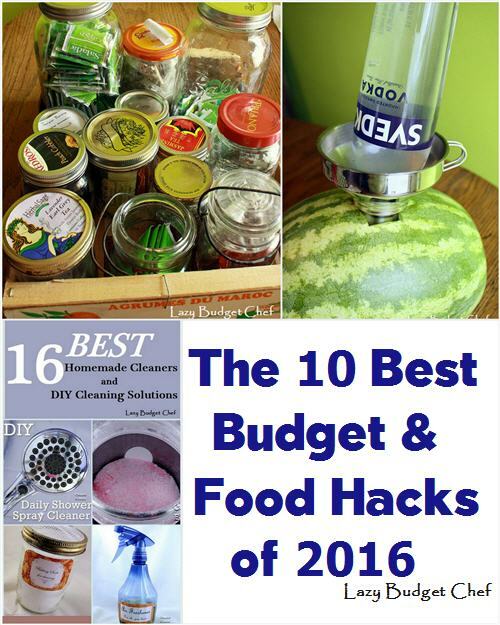 And wowzers folks I want to come to your next party because you really, really love my vodka watermelon hack!